Sacred Groves is honored to occasionally host this special ceremony that comes to us from the Si.Si.Wiss spiritual tradition that originated from the Samish people of the Salish Sea in ancient times. In this ceremony Si.Si.Wiss medicine ways are shared and honored. Si.Si.Wiss means sacred life, sacred breath and its ways honor Creator and creation respectfully. This ceremony includes songs, prayers, simple dances, sharing food. Simple and powerful, this ceremony will leave you feeling refreshed and renewed. 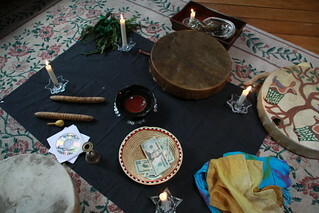 The circle includes traditional medicine songs and dances for each season, prayers, teachings, sometimes a “healing ceremony. ” We always share food (potluck). Lesley Collins who lives in Kitsap County is the local leader of the Groves monthly Red Cedar Circles. Lesley mentored with Jill Fanning for over 10 years. 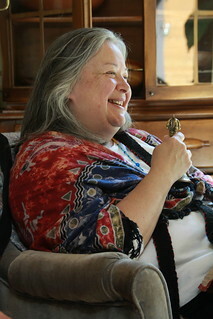 Jill Fanning (Kwah leh tah tin) is the elder and mentor for the Red Cedar Circle hosted at Sacred Groves. Jill was intensively trained for 10 years by Johnny Moses and several elders from Puget Sound and Vancouver Island. She has been teaching for 23 years in many places from New York to Australia and New Zealand. She now lives in Whitefish Montana. There is not a specific ‘suggested donation’ for these teachings. Donation baskets for Lesley/RCC and the Groves will be out to receive your generous contribution, whatever it may be. Si.Si.Wiss medicine ways have been kept alive thanks to Johnny Moses (photo below), Taqseblu (Vi Hilbert) and all the teachers who have shared for thousands of years the wisdom of the earth with those of open heart and open mind. Click here to read more about Johnny Moses.